Have you heard that exercise can be helpful for people who suffer from depression? At Rancho Wellness, we understand that this may seem too simple to be true. If you’re not already involved in exercise on a regular basis then you may not know where to start. 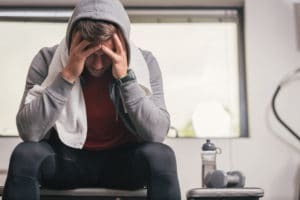 We are here to help with total body wellness and can show you the best way to get the best benefit from exercise for depression. Read on to learn more and then reach out to Rancho Wellness at 909-483-7800. We can offer the personalized help you need. If you’re going to start exercising then there are two main things to keep in mind. First, set the bar low. Understand that you will likely struggle in the beginning and this is okay. If you put too much pressure on yourself and expect big things from the beginning then you’re likely to set yourself up for failure. Second, remember that practice makes perfect. Try to exercise every day or at least every other day. It doesn’t necessarily matter what you do on any given single day, but it does matter what you do day after day. Even if you can’t do a full exercise session, simply getting into the habit of doing something every day can be very helpful. You don’t have to invest in expensive equipment or a personal trainer to start exercising. The best way for many people to get started is to simply start walking. Grab a pair of comfortable shoes and walk every day. You can do it for just five minutes per day to start with, and once that becomes easy, increase the amount of time you walk or increase the speed. One of the advantages of this option is that once you’re comfortable with it, you can join a group that adds a social aspect to walking. For example, you may find a friend to walk with or join a group that walks together. These social aspects can further help reduce your depression. There are other exercise activities that are designed specifically for beginners. For example, either yoga or tai chi are designed for people of any age to do. They’re slow, they’re low impact, and they can improve both flexibility and mindfulness. They can reduce negative thoughts and can help you learn to relax and mediate even when anxiety is popping up. The reality is that there isn’t one single treatment that works for everyone who suffers from depression. If you’re in this boat and you need help, then it’s time to reach out to a wellness center who wants to help. At Rancho Wellness, we are here to help. We will listen carefully to exactly what you’re dealing with and will take every symptoms seriously. To learn more about your options, reach out to us at 909-483-7800 today.